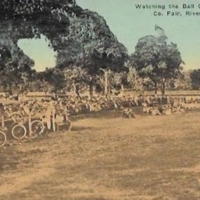 Watching the Ball Game, at Suffolk Co. Fair, Riverhead, L.I. Frank Boulton, Bob Gaffney and Buddy Harrelson at the Long Island Ducks opening day. 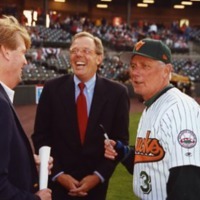 A photograph of Frank Boulton, Bob Gaffney, and Buddy Harrelson during the 2003 opening game of the Long Island Ducks. 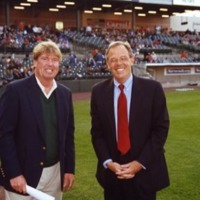 A photograph of Frank Boulton and Bob Gaffney at the Long Island Ducks 2003 opening game. Buddy Harrelson in Long Island Ducks uniform. 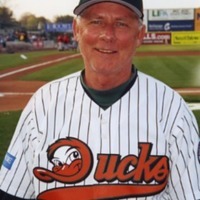 A photograph of Buddy Harrelson in the #3 Long Island Ducks uniform. Signing autographs at Long Island Ducks game. 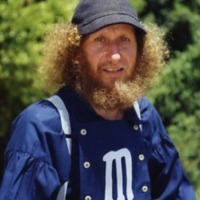 A photograph of a Long Island Ducks player signing autographs during the 2003 opening game. 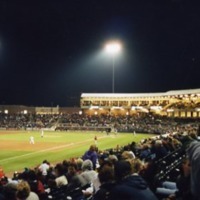 A photograph of the opening day of the Long Island Ducks 2003 season. Star Spangled Banner at Long Island Ducks game. 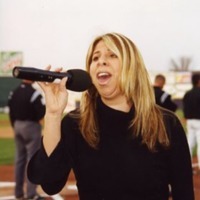 A photograph of a woman named "Sienna" singing the Star Spangled Banner at the opening of the Long Island Ducks 2003 season. 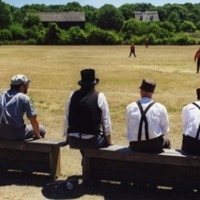 A photograph of the opening pitch of the Long Island Ducks 2003 season. 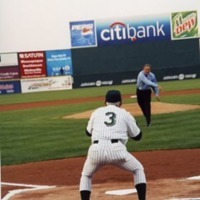 Harrelson-Gaffney can be seen throwing the ball to a player in uniform "3."